Not too long ago, a majority of financial trading took place over the phone. Back then, if you wanted to buy or sell a stock, you had to call your broker and have them make the transaction for you. However, this process is no longer necessary thanks to the development of trading systems through the use of APIs. In this article, I will be discussing everything you need to know about trading systems and the APIs that help build them. An API is something that you can install onto a webpage that enables a variety of software programs to simultaneously interact with each other. There are many different types of APIs that all do different things. Shipping APIs, site search APIs, and price comparison APIs are all very common throughout the business world, but in this context, an API is an interface that enables your software to connect with a broker and make transactions accordingly. Without APIs, the development of trading systems would not have been possible. A trading system can be defined as a group of specific parameters that combine to create, buy, and sell signals for a given security. What this means is that you can manually put in specific guidelines into the trading system, and they will act accordingly. For example, let's say you own a stock and would like to sell it if it reaches a certain price. By putting in whatever that price amount is, the trading system will automatically sell it once it reaches that price point. The same rule applies to buy stocks as well. Let's say you want to buy a certain stock if the price dips down to a specific number. Trading systems will automatically purchase that stock if the price ever dips down to that number. Not only can they automatically perform transactions for you, but they also can provide you with live price updates, as well as offer you recommendations based on data obtained from an algorithm. There are many different advantages of API trading systems, but the two biggest advantages of them are that they save time and remove cognitive biases. API trading systems help save time because they do a majority of the work for you. If you optimize your trading system correctly, you don't have to sit around a screen all day looking for good deals and making trades. The system will do all of that for you. In addition to saving you time, they also remove any cognitive biases that you may have. Many traders are unable to accept a loss, and second, guess their choices quite often. This can result in a trader making irrational decisions that end up costing them money. API trading systems remove the traders from the actual buying and selling decision-making process and use algorithms to predict what the best decision is based on data. Even though there are numerous advantages to API trading systems, there are also some disadvantages as well. One disadvantage is that it can be difficult to optimize. 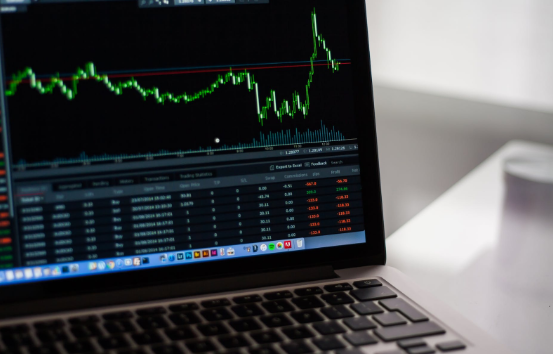 There are many different things that play a role in creating the perfect algorithm for your trading system, such as transaction costs and constantly changing market dynamics. However, even if you do take these factors into account, there is still a possibility that the system will not be perfect. Unfortunately, you can not test these systems before they go live, so if you don't get it right the first time, you would have to start over from square one. Another disadvantage of trading systems is their initial startup costs. These systems take a lot of time to develop and test. Therefore, you could potentially lose out on some revenue while you are allocating time to the development of this system. Additionally, they require constant maintenance and are not cheap to fix if they malfunction. In summary, trading systems have positives and negatives, but nevertheless, they are revolutionizing the stock market. Trading systems can do an excellent job of making the life of a broker easier, or they can make it harder. It all depends on if you know how to use them.